Cleveland Ohio is a great place to live. Located on the southern shore of Lake Erie, there are hundreds of great communities in the Greater Cleveland area in any price range. 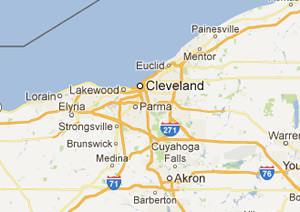 You can use this site to search for any Cleveland real estate in any of the communities in the Greater Cleveland area. We are dedicated to friendly customer service, with your needs coming first on our priority list. We are specialists in West Cleveland real estate, covering the city of Cleveland itself along with nearby communities such as Avon, Avon Lake, Lakewood, Lorain, Elyria, Westlake, Fairview Park, North Olmstead, North Ridgefield, and more. You can narrow down your search by price range as well as many other factors in your search for West Cleveland homes for sale, such as foreclosures, short sales, view homes, waterfront homes, and more.